Anti-Semitism is one of the most malicious forms of racism in human history. Sometimes crudely referred to as ‘Jew-hating’, anti-Semitism is an abject fear or hatred of the Jewish people. The origins of anti-Semitism lay deep in human history, dating back to ancient and medieval times. Anti-Semitic ideas and prejudices have existed wherever Jews have been found – and in some cases, even where they were absent. Anti-Semitism has different forms and is expressed in different ways. It has been driven by different factors and conditions – political, religious, cultural, ethnological, social or economic – and reached varying levels of intensity. The only common attribute of anti-Semitism through the ages is that Jews have been targeted because others have perceived them to be different. In ancient times, anti-Semitism was motivated chiefly by ethnic and cultural differences. At different times in history, the Greeks and Romans targeted Jews not for their religious beliefs but for their alleged unwillingness to adapt or assimilate. Some rulers, like Rome’s Emperor Tiberius, attempted to force assimilation by ordering the conscription of young Jewish men into the legions of Rome. Later Roman rulers permitted and sometimes even encouraged Jewish cultural and religious practices. The rise of Constantine, Rome’s first Christian emperor, put an end to this tolerance and gave rise to a more pungent form of anti-Jewish prejudice. From that point, anti-Semitism was fuelled not just by cultural factors but by religious divisions and tensions. Christianity began as a sect of Judaism rather than a separate religion. But in the decades after the death of Christ, some critical theological and ideological differences emerged between Christians and Jews. Christians, for example, claimed that Jesus Christ was the Messiah or Son of God; Jewish theologians rejected this and claimed Christ to be mortal. The New Testament, much of which was written in the 1st century AD, is widely interpreted as being a rejection of Judaism and its core beliefs. By the 2nd century AD, Christianity had broken away from and turned against Judaism, its parent religion. Another factor in Jewish-Christian tensions was a declaration, made both in the Torah and rabbinical scripture, that the Jews were God’s ‘chosen people’. Deuteronomy 14:2, for instance, says the Jews are “a holy people… God has chosen you to be His treasured people, from all the nations that are on the face of the Earth”. Medieval Christian theologians considered this arrogant and blasphemous, a suggestion that Jews believed themselves superior to Gentiles (non-Jews). During the Middle Ages – as Jews were exposed to harassment, marginalisation and persecution – Jewish communities naturally became defensive, withdrawn and insular. Jews kept to themselves, their families and their communities; where there was interaction with non-Jews it was usually confined to business transactions. Many interpreted this self-isolation as evidence that Jews set themselves above Christians. Another prevailing cause of anti-Semitism is that Jews have often made convenient scapegoats. In ancient and medieval times, disastrous events like pandemics, crop failures or extreme weather could not be explained scientifically. Instead, they were deemed to be acts of divine intervention, magic or witchcraft. Blame for these adversities or disasters often fell on the Jews. Missing children had almost invariably fallen prey to Jewish rabbis and ritual sacrifice; the Black Death was the work of Jewish well-poisoners; crops failed because of Jewish sabotage; price rises were the result of a Jewish conspiracy. 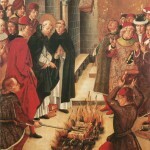 The very presence of Jews and their heretical religion in a Christian community was enough to incur the wrath of God. Medievalism eventually faded and the Enlightenment (mid-1600s) and the rise of science started to provide rational explanations for these events. But even as the modern world began to emerge, European Jews were unable to shed this role as scapegoats. Jews continued to exist as a significant “other”, living and working amongst Christians in Europe but never fully accepted or closely understood by them. 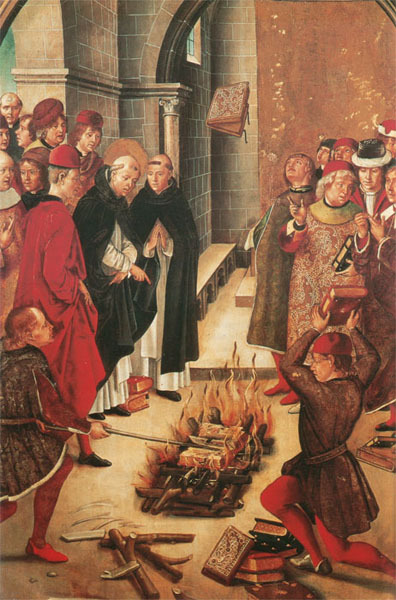 The old medieval hatreds of Jews as Christ-killers, heretics, subversives, schemers and swindlers were diluted over time – but they were never completely eradicated. Anti-Semitism could always be found somewhere, whether muttered in the corners of dark taverns, buried in the sermons of Christian ministers or whispered in the corridors of power. And like all dark and radical hatreds, it re-emerged during difficult times and conditions, to offer an explanation for things that could not be adequately explained. 1. Anti-Semitism is an irrational fear or hatred of the Jewish people. Its origins date back to ancient and medieval times. 2. In ancient Greece and Rome, Jews were targeted and persecuted for their social and cultural differences. 3. The development of Christianity gave rise to theological divisions and the accusation that Jews had killed Christ. 4. During the Middle Ages, Jews became convenient scapegoats and were blamed for a range of problems or disasters. 5. Though they caused less violence and abject persecution, these anti-Semitic ideas survived into the modern world.